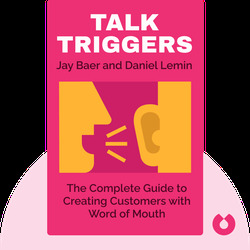 Talk Triggers (2018) reminds us of a truth so obvious it’s often forgotten: nothing drives customers through your doors as effectively as word-of-mouth recommendations. The trick is to strategically steer the conversation your way with carefully crafted talking points that set you apart from the competition. In these blinks, you’ll learn how to do this. 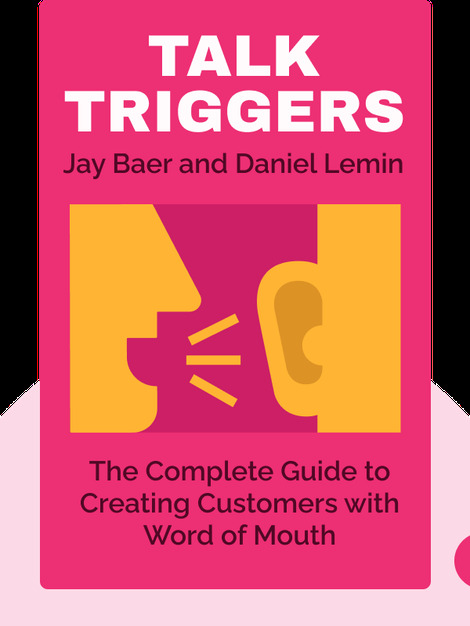 Jay Baer is the founder of Convince & Convert, a consultancy firm specializing in building and retaining a customer base. He is the author of Hug Your Haters and Youtility. Daniel Lemin is a former Google communications leader and co-founder of the healthy eating platform Selectivor. He is the author of Manipurated.